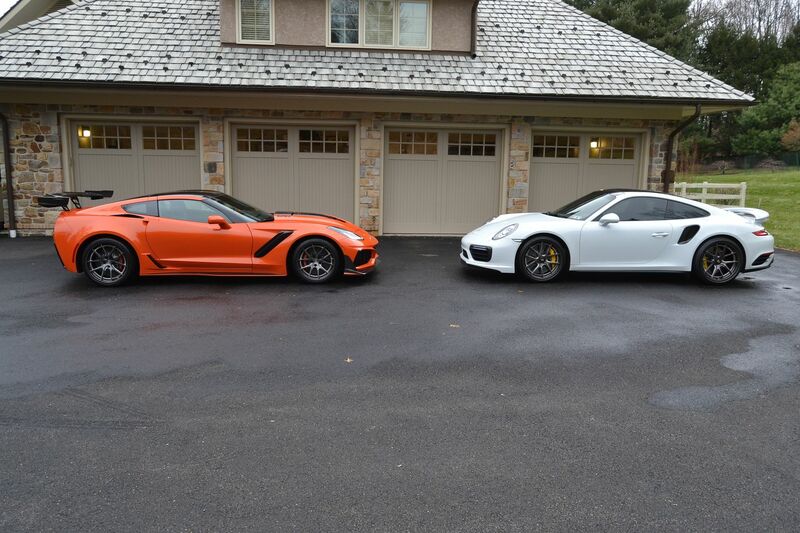 Mmm...yummy, I’d give you my Z07 for the white car any day! There is no question that the ZR1 is the top of the performance pecking order. I just never felt compelled to get one with the C8 on the horizon. I felt the same way with the C6 generation. I kept my C6 Z, then bought the C7 Z. I will do the same when the higher performance variant of the mid engine comes out. I agree that the relative performance of the current Z06 and ZR1 are close enough that it's hard to justify the price difference. Putting more power into this platform just seems to be a recipe for even more traction problems. Spoke to Pete Callaway at Carlisle and he alluded to traction issue as to why we don't see a Callaway ZR1. Not the tuning issue. He said chevy would supply them with a way around that. Let me throw a curveball in here...consensus of the C7 forum is that the best car is the GS; so Z or ZR should bow to the GS. When i was looking in 2017 it was 1st year or the GS so there were no big discounts to be found on it. In the end the difference in price between the GS and ZO6 with its huge discounts was less than 10k so ZO6 it was. Punky you again come here to give opinions on cars that you don’t even own. How about if you go buy a Z06 ,Zr1 or Porsche GT so we can start taking all your mumbling seriously. You my friend are a Humper. I've owned many Corvettes, a couple Porsches, and many other performance cars. Interesting that you feel the need to bully other members who may hold opinions that differ from yours and inhibit them from posting here. I could care less about your name calling and actually find it amusing. Trust me Dude, I am far from the only one who does not like the looks of a 911. Get over it. Better give this guy a good smack down too. It is the same trolls every time and probably best to never give them what they want, an angry response. Do you even know the definition of a hypocrite? Because you're acting like one now, along with punky. Stop using your emotions to aid to your posts on any particular discussion, stay with the discussion at hand. Corvettes are awesome however don't disrespect german engineering and it's clearly better. That's all. Yeah OK, try owning a 911 out of warranty, you'll learn all about "German Engineering". You sound like a guy who reads waaaay to many car magazines. lol you do realize there are more german cars besides a porsche 911 right?? OK, and Thank You for the lesson. He along with a few other import humpers here pretender to be Corvette enthusiasts but are haters of somewhat limited intelligence as demonstrated by their inability to mask their true intentions. This stupidity can be entertaining when one considers the source. Yes please do your best to ignore, because so far you and you little friend haven't. Just 2 childish complainers when you guys hear something that hurt your feelings. Again, don't disrespect german engineering, it's clearly better than what we have in our cars. Oh, and go experience a NEW 911. Not one that is 15 years old. 2 different cars. "Don't disrespect German engineering", Yeah OK Pal. Would that be the same engineering that causes a Porsche to cost 2- 3 times that of a Corvette it attempts to compete with? Would that be the same "German Engineering" that gives the 911 faithful the same ugly, squashed, VW Beetle, design from decades ago? Would that be the "German Engineering" that fills the internet with post warranty maintenance horror stories. Yeah Dude, we know all about "German Engineering". It is abundantly clear that you do not.